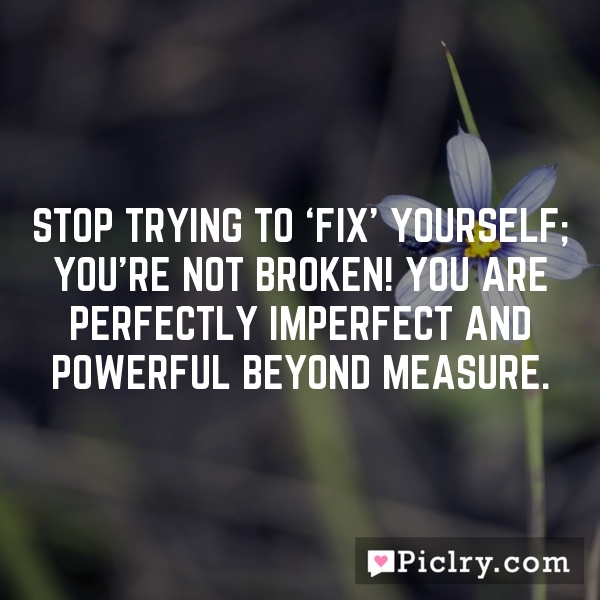 Stop trying to 'fix' yourself; you're NOT broken! You are perfectly imperfect and powerful beyond measure. Stop trying to ‘fix’ yourself; you’re NOT broken! You are perfectly imperfect and powerful beyond measure.